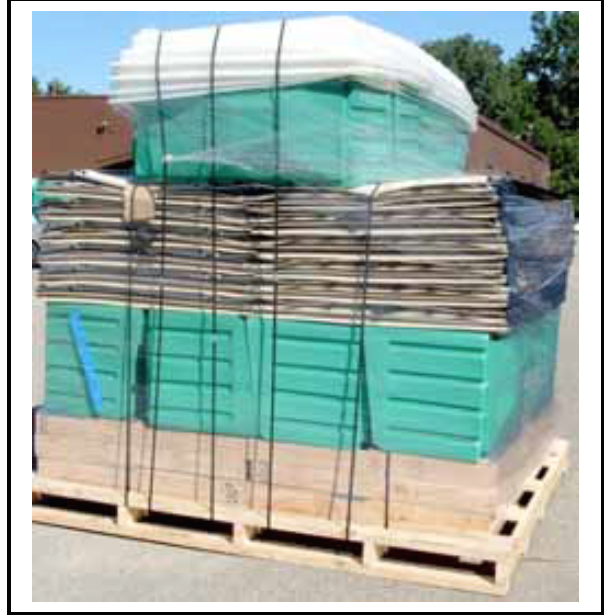 Disaster – Emergency Portable Toilets. These are the ultimate solution for basic housekeeping needs where fast, reliable and easy deployment is a necessity. 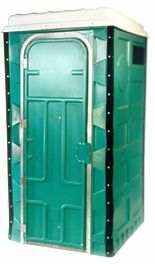 Midland Toilet Hire’s folding portable toilet folds to 3″ high for easy transport and storage. 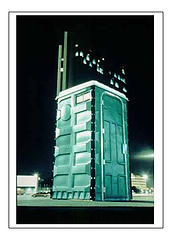 The Portable Toilet unfolds to full size portable toilet when needed. Simply stand up walls, put floor, tank and urinal and roof in place to use. 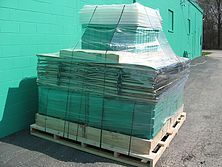 The unit deploys or folds in minutes by one person. The big advantage of this unit is transport. 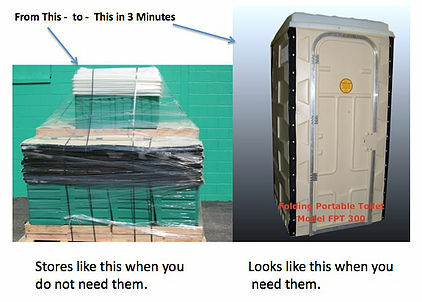 Ideal for emergencies, disaster relief and military use.